The event takes place on the 13th of May starting at 14:00. Visual artist Linas Kutavičius known for his light instalations shaping the public spaces of the venues and festivals in Lithuania for the last fifteen years. Big size geometric and sculptural light instalations became trademark of him. 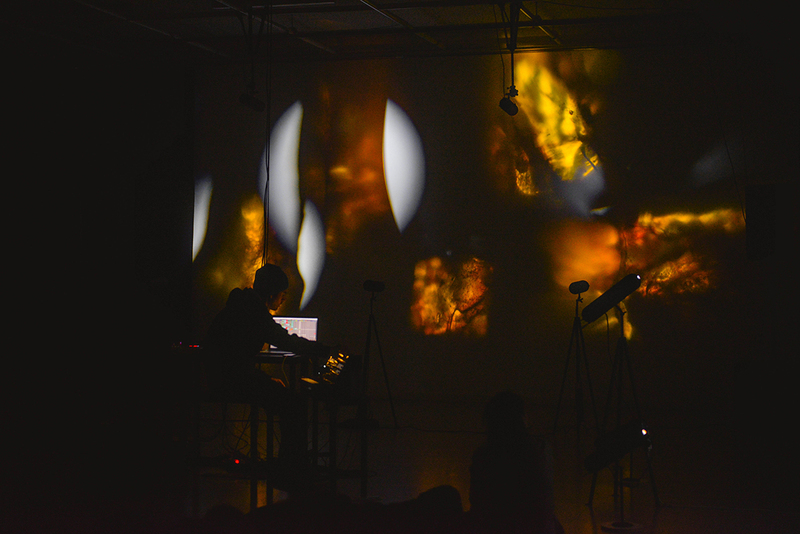 Last couple of years Linas Kutavičius started experiments with the focused lightbeam projecting the natural Baltic amber by his original design devicesIn collaboration with Paulius Kilbauskas it became an Amberscope project. Musician and composer Paulius Kilbauskas known in the independent, experimental music scene of Lithuania since late nineties, made a long way in electronic music by connecting instrumental sound with the the digital and analog extensions. Lately known for his works in film industry for making soundtracks for movies and documentaries. His organic synthesized sound becomes the storyteller of the Amberscope.